YEH – win for Vegan fast food! Chipotle does not often update its limited, but classic, menu. 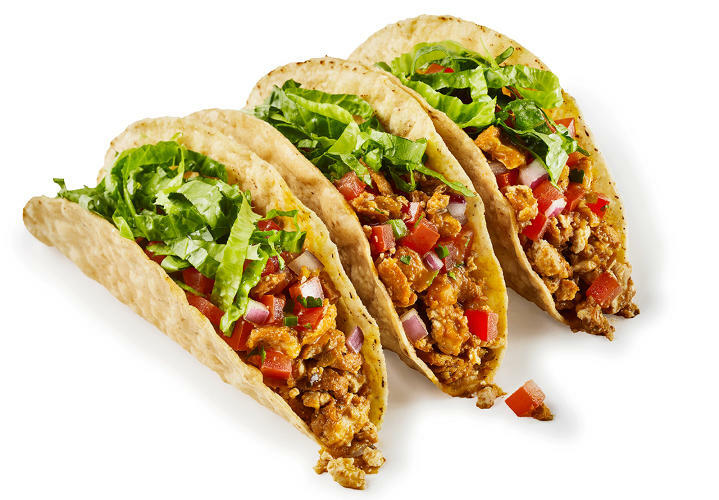 In fact, despite minor tweaks like adding brown rice and burrito bowls, in its 20-year history, the Mexican fast-food chain has never added an entirely new item. But today, after a year-long testing period in select locations, Chipotle is officially adding Sofritas–the official name for the shredded organic tofu braised with roasted poblanos, chipotle chiles, and spices–to its nationwide menu. So how did the humble bean curd win its slot on the Chipotle menu board? Chipotle's First-Ever New Menu Item, The Vegan Tofu Burrito, Goes National | Fast Company | Business + Innovation.